Economists developed an algorithm to quantify the social return on donating $10 to UNCF, showing the donation's impact on earnings, crime, poverty and health savings. The new TV, radio, print, outdoor and Web PSAs feature students who have benefited from UNCF and their stories, building on those first introduced in 1972. 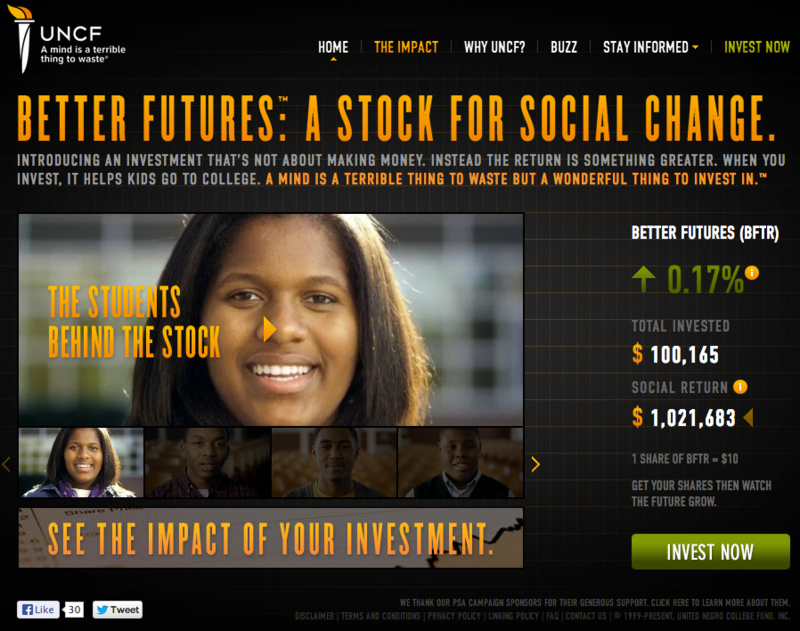 A new BetterFutures.org website conveys how a stock for social good works through tools such as an economic calculator. The new creative is the first shift from the 40-year old campaign's mission of solely sending kids to college, and focuses more on a commitment to social change by investing in a future better for everyone.